It's over! 2009 Deer Season is officially in the books! We've closed the retail store at Cordray's and are looking forward to just a few months of quiet and rest! We'll be reopening on August 15th bright and early at 9 am. Until then, we'll be glad to help you with Cordray Farms Beef Sides and Shares on an appointment basis. If you've got meat orders that you haven't picked up, give us a call at 843.766.7922 and we'll make an appointment to meet you. We'll be harvesting beef in February. 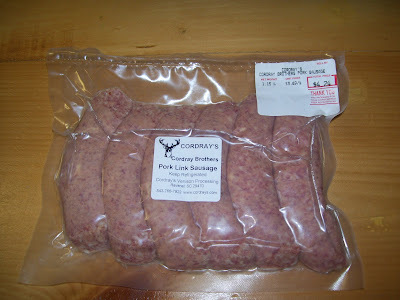 Join our email list to get notification of when we'll have Cordray Farms Beef ready for you! Contact claudia@cordrays.com. Last day for Cordray Farms Beef Peppers & Cheddar is tomorrow! 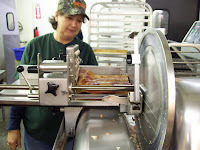 We make these with Ambrose Farms fresh jalapenos, cheddar cheese, and Cordray Farms all natural local beef! 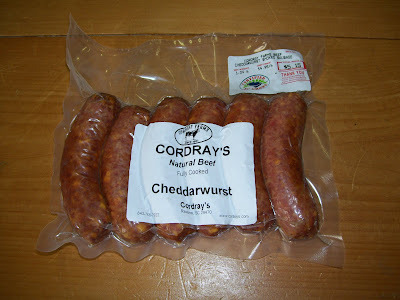 Beef sausage smoked with cheddar cheese, Cordray's Cheddarwurst follows the same recipe as the venison cheddarwurst but is made with Cordray Farms All Natural local beef! LAST CALL! 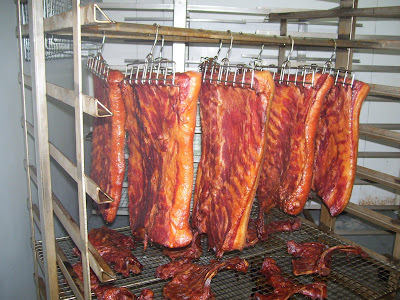 The last batch of applewood smoked bacon is READY! Thanks for all your help on contacting the folks who've not picked up their orders! It's been awesome to have help with a problem we have every year! The way the law is written we've got no recourse to get these orders picked up and the money paid. 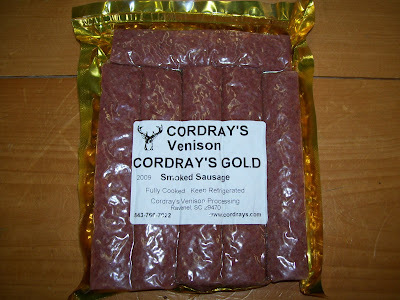 If we were any other business, we could sell the product we've made to recover our expenses, but with venison we're just stuck! So thank you for helping us to contact these folks. We still have just a few of the really old ones (Nov. and earlier) left. I might be calling on you for help again after we get finished this weekend. Remember, if you know these folks, please let them know we're looking for them or talk them into giving it to YOU! People always ask what we do in the "off season." Since we've been out in the shop 75 hours a week since August 15th, the first thing we do is REST! Then, as you can imagine, we have a ton of small projects, and a few larger, that have gone slack during all this time at work. I suggested to Michael that I move my "Honey, do..." list to the blog so ya'll could help me harass him by asking about all them when we get back together in August. Hey, it's working for the missing persons list! Always the thinker, though, he suggested I conduct a contest, listing all my projects and letting you vote on what he should do. The winner and the project he's to actually finish would be announced in mid-July! That is SO not going to happen. Seriously, though, I'll be posting some photos as we go through the winter time calving season and share with you some of our "off season" farm fun. Give us a call if you have questions, but just remember that the farm phone rings in the house! 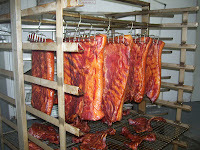 All sold out of Applewood Smoked Bacon! The last batch will be ready Thursday. 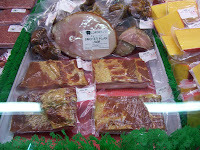 We sold out of delicious bacon about midday Saturday. We've got one more batch coming Thursday - stay tuned and I'll let you know for sure! That's the last chance until August 15th, so stock up now! Want to try "Cow Pooling"? CBS News, Early Show, this morning did a segment on a new term, or new to me anyway. "Cow pooling" is sharing a cow among a small group of families. 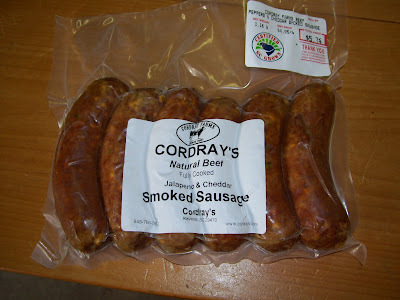 It's just what we've been doing with the Cordray Farms Beef Shares. Your family and 7 other families get a farm raised steer divided into 8 roughly equal parts. We usually find the families, but would welcome a group who want to share! Check out the link below to see how it's being done all over and if you're interested in cow pooling with some other local families with our upcoming beef in February, give us a call (843.766.7922).